Patrick O'Connell is a respected administrative leader who guided High Speed Two (HS2) Ltd. as interim director. An avid traveler who lived in the UK while overseeing HS2 rail network planning, Patrick O'Connell has had the opportunity to go on safaris in Zimbabwe and India focused on viewing elephants. A Voice of America article brought attention to a late 2018 project that involved moving 100 endangered elephants from the Save Valley Conservancy in Zimbabwe. Unfortunately, the refuge is of such limited size that elephants stripped the land bare of the leafy vegetation that they and other animals rely on for habitat and foraging. The elephants were moved in small groups over the course of a year to the Rifa Safari Conservancy, which borders Zambia. Despite this having been prime grounds for poaching in the past, the Zimbabwe Wildlife Authority has taken major strides to control this illegal practice. One major deterrent under President Emmerson Mnangagwa is a nine-year mandatory sentence for possessing a rhino or elephant tusk. In addition, there have been extensive programs to train ranchers on conservation best practices. The plan now is to accomplish a similar transfer of rhinos from the Save Valley to Rifa Safari over the next year. ​Serving as executive director of the Office of the Chief of Naval Personnel, Patrick O'Connell has an extensive leadership background that includes serving as interim strategy director with High Speed Two (HS2) Ltd. During his tenure with HS2, Patrick O'Connell helped to set in place a high-speed rail system to connect the English cities of Manchester, Leeds, and London. A recent Moneywise article brought attention to a proposal by project engineers for utilizing the heat generated by HS2 train engines and brakes to heat water for as many as 500 new homes. Traditionally, when waste heat is generated in tunnels by trains, ventilation systems extract the hot air and allow it to dissipate outside. Under the proposal, the hot air would be pumped directly to a district heating system in the Old Oak Common region of Northwest London. This heat would then be captured in order to heat water and distributed to homes throughout the new development. This would represent a low-carbon heating solution, with the moving trains in the enclosed tunnel acting essentially as pistons that drive hot air into a crossover box. As the air rises, the heat within it would then be harnessed through heat pumps and used to heat water, which would be transported through insulated pipes to residences. With residents paying normal rates to use this hot water, the construction of such a system is estimated to pay for itself within four years. Patrick O’Connell has worked with the HS2, Ltd., team as executive director of the Office of the Chief of Naval Personnel in Washington, DC, since 2016. In this position, Patrick O’Connell has focused his efforts on transforming and enhancing all HS2 and Chief of Naval Personnel (CNP) processes. Over the last few decades, technological developments have come to the United States Navy in waves, leading to asynchronistic, piecemeal updates that do not always lend themselves to seamless integration. The result has been suboptimal system performance, particularly in regards to analytics, at an unsustainable cost. When Mr. O’Connell accepted his current position, his primary focus was to bring all CNP processes and technologies up to speed. Over the past three years he has established a holistic plan that addresses every aspect of the CNP operating model, with an added emphasis on information technology (IT) integration, despite the onboard team having no prior transformation experience. The Chief of Naval Operations accepted the new CNP operating model less than one year after Mr. O’Connell’s hiring. More recently, the operating model gained support from the Department of Defense Chief Information Officer, which resulted in the Department of Navy Chief Information Officer's advancing the model into a fee-for-service, cloud-based mode. This initiative is now moving from the planning to execution phase. Patrick O'Connell has a leadership background spanning the public and private sectors, and serves as executive director of the U.S. Office of the Chief of Naval Personnel. Previously engaged as interim director of program and strategy with High Speed Rail 2 Ltd. (HS2), Patrick O'Connell led the early stage planning of a major $85-billion UK transportation project designed to link London with cities such as Leeds, Birmingham, and Manchester. 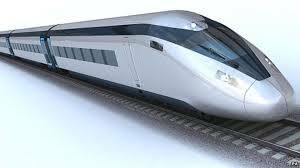 As reported in New Civil Engineer, plans on how to connect Scottish rail links with the English HS2 system are being developed, with a pair of in-depth feasibility studies having been commissioned in 2018. Sponsored by Transport Scotland, the first study is being undertaken by the Scotland Working Group and focuses on ways of improving specific connections. These include the west coast main line (WCML), which connects Abington with Glasgow, and the east coast main line (ECML), which connects Edinburgh and Newcastle. With a second study in the works, the plan is to submit a business plan to both the British and Scottish governments by late 2019. HS2 has already had a positive impact on the Scottish economy, with Mott MacDonald placing 300 employees and apprentices on HS2 construction sites along the West Midlands section of the rail route. As executive director of the Chief of Naval Personnel, Patrick O’Connell draws upon his experience as the interim program and strategy director at High Speed Rail 2 Ltd. (HS2). Patrick O’Connell’s background, apart from HS2, includes a past role as chairman of the BT Centre for Major Program Management at the University of Oxford’s Said Business School. 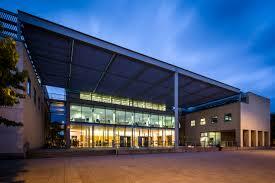 Said Business School stands out as one of the leading business schools in the world. Supported by faculty members with demonstrated excellence in their respective fields, Said offers 11 undergraduate, graduate, and doctoral degree programs in addition to a number of in-person and online courses. Through these offerings, the school endeavors to develop business professionals who will go on to hold positions at some of the world’s top organizations. Oxford’s business program launched in 1965 with the founding of the Oxford Centre for Management Studies, now known as Green-Templeton College. In 1990 the university established the School of Management Studies, and in 1996, following a donation by billionaire philanthropist Wafic Said, Said Business School opened its doors. Today, the institution provides a world-class business education from its main facilities, Park End Street and Engrove Park. Patrick O’Connell, an international executive with computer science expertise, is the executive director of the Office of the Chief of Naval Personnel. Dr. O’Connell has lived and worked in a number of different countries, including England, where he was the interim director of program and strategy for High Speed Rail 2 Ltd. (HS2). In this position, Patrick O’Connell helped to transition HS2 into a delivery organization by developing complex strategies and organizational structures that will ultimately lead to the successful and timely completion of the world’s fastest commuter train system. HS2 has taken a multi-tiered, intentional approach to the design of the rail system. HS2 is an ambitious $85 billion project that will serve as the backbone of Britain’s transportation network. By linking Britain’s largest cities, the country’s economy will be bolstered by the creation of new jobs and increased trade and tourism. HS2 will connect a number of city centers and serve 300,000 passengers per day. With that in mind, the design panel, led by Sadie Morgan and consisting of experts from a wide array of disciplines, is carefully considering every aspect of the design to make sure it meets the projects three core concepts: people, place, and time. Without question, the HS2 line needs to benefit everyone. The transportation system must work intuitively and effectively, serving and engaging a number of diverse audiences. The design of various elements needs to respect national, regional, and local interests. In addition, the design of HS2 needs to respect place. New spaces, including stations, terminals, trains, and natural environments will all be created with an overarching goal of improving the quality of life of those that use them. Projects will reflect the local context while also maintaining a cohesive HS2 identity. Well-designed spaces will serve to enhance the public’s national pride. 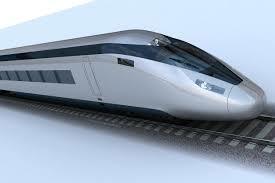 Finally, the design of HS2 must respect time restraints and be completed on budget without compromising quality. The design team is aware that every aspect of HS2 needs to be built to endure and evolve for future generations. Patrick O’Connell, an executive director of the Office of the Chief of Naval Personnel for the U.S. Navy, was recruited to transform business and technology operations that are currently used to manage Navy personnel. Prior to his position with the U.S. Navy, Patrick O’Connell was an interim director of program and strategy for High Speed Rail 2 Ltd. (HS2) in London, England. The ambitious rail project will improve and transform Britain’s transportation network. 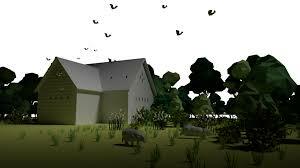 Planners of the HS2 have worked to minimize the environmental impact of the project on Britain’s countryside. The HS2 project is the largest infrastructure project currently underway in Europe. Experts predict that it will dramatically impact Britain’s economy as well as ease the stress that is placed on the country’s current rail network. A project of this magnitude will have inevitable effects on the natural landscape. However, designers have set into motion several protective measures that will ease the environmental impact of the new high-speed railway. Most importantly, a green corridor is planned for the majority of the rail line. Designers aim to restore ecosystems that are disrupted during construction by rebuilding woodlands, meadows, wetlands, and ponds. Keeping local culture in mind, landscape designers are also drawing on feedback from local communities and planting over seven million plants that are native to the disrupted areas. Community greenspaces will also be built along the line. These spaces are intended to bring people together in the natural environment. In addition, planners of the line intend to build large portions underground to minimize its environmental impact. A resident of Alexandria, Virginia, Patrick O'Connell works as executive director of the Office of the Chief of Naval Personnel for the U.S. Navy. Prior to this role, he served as interim director of program and strategy at High Speed Rail 2 Ltd. (HS2) in London. At HS2, he initially led an $85-billion high-speed rail program. An active individual, Patrick O'Connell exercises almost every day of the week and is training for a powerlifting competition. * Lift weights. This seems like a straightforward tip, but experts recommend getting in repetitions of squats, bench presses, and deadlifts. Just like any sport, in order to get better, athletes need to practice, and these three movements can help them improve in powerlifting. * Use the pyramid method. This method can help the athlete build strength. 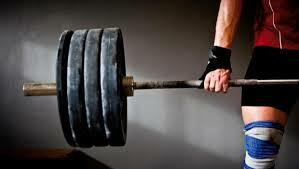 Athletes should increase the amount of weight they lift while decreasing the number of repetitions. * Find a coach. A coach can hold the athlete accountable and suggest ways to improve his or her powerlifting technique. An experienced public and private sector administrator, Patrick O'Connell has served as the executive director of the office of the chief of naval personnel in Washington, DC, since 2016. Outside of the professional arena, Patrick O'Connell is an avid world traveler. The highlights of his journeys include taking safaris by elephant in both India and Africa, as well as spending the night at the Icehotel in northern Sweden. Actually a series of structures that are rebuilt on an annual basis in the village of Jukkasjärvi, the Icehotel is composed entirely of snow and ice. This exceptional resort began as a one-off project called ARTic Hall. Essentially a huge igloo, ARTic hall served as a large art gallery but also hosted church services, showed films, and offered refreshments at a wet bar. 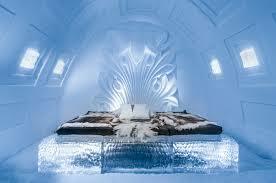 Established in the early 1990s, the Icehotel became internationally renowned and has won multiple World Travel Awards. Elegantly designed, both the structure and its furniture are made of 100 percent snow and ice. The Icehotel even uses glasses and dishes made out of ice. The executive director of the office of the chief of naval personnel in Washington, DC, Patrick O'Connell has been bridging gaps between the business world and the public sector for decades. Over the course of his career, Patrick O'Connell has received multiple commendations and honors, including the U.S. Armed Forces’ Legion of Merit. 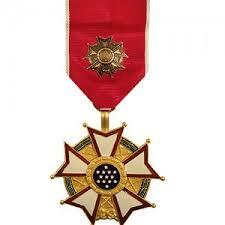 Awarded at various levels to chief commanders, commanders, officers, colonels, and legionnaires, the Legion of Merit recognizes exceptionally meritorious conduct that goes above and beyond the satisfactory performance of duties. The U.S. Armed Forces issues this award to active U.S. service members as well as the service personnel of friendly foreign nations. First proposed in 1937, the Legion of Merit received official confirmation from the United States Congress on July 20, 1942. Colonel Robert Townsend Heard based its distinctive design on the French Legion of Honor. The Legion of Merit consists of a white five-armed cross with ten gold-tipped points and a center that features 13 stars on a field of blue. The cross rests on a green laurel wreath. The chief of naval personnel for the United States Navy, Patrick O’Connell has more than three decades of public and private senior executive experience.